Flowers from BLOSSOM VILLAGE do make the ambiance and make any occasion extra special! We’re a local Beverly, West Virginia florist with over five years of experience, as well as a lovely variety of fresh flowers and creative gift ideas to suit any style or budget. We hope you enjoy your online shopping experience with secure 24-hour ordering right at your fingertips. If you prefer, please call us to place orders direct at (304)-637-1144. 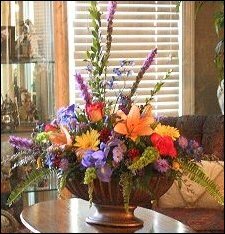 Sympathy and funeral flowers from the heart ~ Let our talented designers create and deliver a funeral arrangement that beautifully conveys your expression of sympathy and serves as a lovely memorial to the deceased. The beauty of flowers at weddings & events ~ Our staff is ready to help you plan the bouquets, arrangements and on-site decorating for your dream wedding or a special occasion. Call to set up an appointment for a consultation. In addition to traditional floral services, we have experience handling flowers for photo shoots and event coordination. 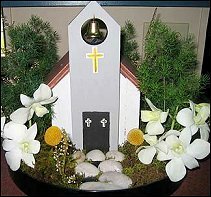 Nice selection of plants & unique gift ideas ~ Choose from our Green & Blooming Plants, Dish Gardens, Fruit & Gourmet Baskets, Gift Baskets, Inspirational items & Gifts such as Frames & W. Va. Made Crafts, Silk & Dried Floral Arrangements and more. Thank you for visiting our website with flowers delivered fresh from your local Beverly, WV flower shop and convenient online ordering 24 hours a day!